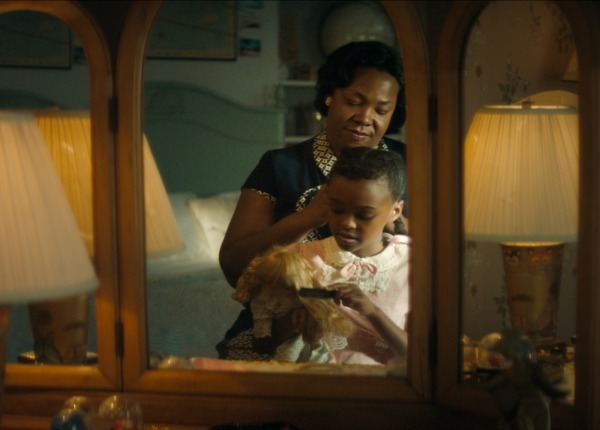 A scene from P&G's "The Talk" directed by Malik Vitthal of The Corner Shop for BBDO NY. P&G's "It's a Tide Ad" directed by Traktor via Rattling Stick for Saatchi & Saatchi NY. 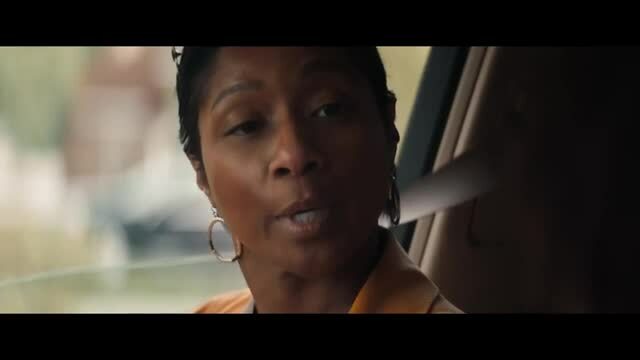 Procter & Gamble's "The Talk" earned Film Grand Prix distinction at the Cannes Lions International Festival of Creativity. Meanwhile, P&G's Tide detergent shared the Film Grand Prix with “The Talk” for hijacking the 2018 Super Bowl by turning every ad into a Tide ad. It kicked off with actor David Harbour establishing that whenever the viewer sees clean clothes, it’s a #TideAd. He then appeared six more times in stereotypical Super Bowl ads, send-ups of several infamous past Super Bowl spots, and even as part of the broadcast. #TideAd trended on Twitter immediately, with people even generating their own #TideAd content. That social dynamic additionally landed the “It’s A Tide Ad” campaign a Titanium Lion. In the Film Lions, 2,158 entries were received and 74 Lions awarded: 10 Gold, 20 Silver and 42 Bronze. In addition to the Film and Titanium Lions, Cannes closing night ceremonies also included the Sustainable Development Goals Lions, the Creative Effectiveness Lions and Glass: The Lion for Change. The Titanium Lions drew 154 entries and 5 Titanium Lions were awarded. The Grand Prix went to “Palau Pledge,” by Host/Havas, Sydney, Australia, for Palau Legacy Project, Australia. The “Pledge” campaign is for the Palau Legacy Project, which requires visitors to Palau to sign a passport pledge to act in an ecologically responsible way on the island. Titanium is just one of three Grand Prix honors bestowed upon “Palau Pledge--the others being for the Sustainable Development Goals Lions and earlier in the week “Palau Pledge” topped the Direct Lions. In the Sustainable Development Goals Lions, 898 entries were received and 29 Lions awarded: 3 Gold, 10 Silver and 15 Bronze. In Glass: The Lion for Change, 218 entries were received and 11 Lions awarded: 2 Gold, 3 Silver and 5 Bronze. The Grand Prix winner: “Bloodnormal,” by AMVBBDO, London, for Essity, is a powerful work that challenges perceptions of female menstruation. In the Creative Effectiveness Lions, 169 entries were received and 18 Lions awarded: 2 Gold, 6 Silver and 9 Bronze. The Grand Prix went to “Savlon Healthy Hands Chalk Sticks,” by Ogilvy Mumbai, India, for ITC, described by the jury as an authentic cause collaboration that drove results. The Palme d’Or, presented to the most awarded production company, went to: MJZ, USA in first place; second to Revolver/Will O’Rourke, Australia; and third to The Corner Shop, USA. Google was named Creative Marketer of the Year, honoring the brand for inspiring innovative marketing of their products and services. Google’s chief marketing officer Lorraine Twohill collected the award. Paul Polman, CEO of Unilever, accepted the Cannes LionHeart Award for his continued commitment to putting long-term, sustainability at the heart of Unilever. Brothers, Piyush and Prasoon Pandey, were honored with this year’s Lion of St. Mark award for outstanding contributions to the industry. Piyush Pandey is executive chairman and creative director of Ogilvy South Asia. Prasoon Pandey is one of the most awarded directors in India. He is credited with directing the first Indian campaign to win a Lion, for Ericsson’s “One Black Coffee” in 1996. The Grand Prix for Good was presented to “Project Revoice,” by BWM Dentsu, Sydney, for The ALS Association, Australia. Winning work from Cannes Lions is available to view here. The 2018 Cannes Lions Festival of Creativity will be marked by significant changes to the delegate experience and awards structure.